Celebrities are THE fashion icons for beauty, makeup — and of course, hairstyles. 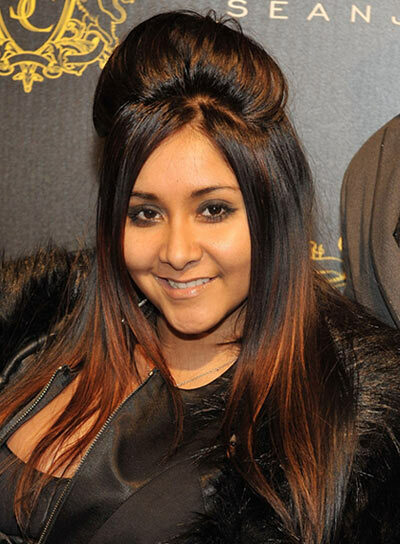 Nicole “Snooki” Polizzi is no exception. 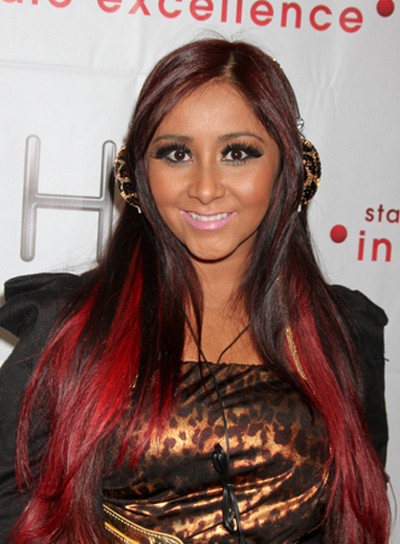 That’s why we’ve got Nicole “Snooki” Polizzi photo galleries, pictures, and general beauty news on this celeb. Her style is totally inspiring and worth checking out. 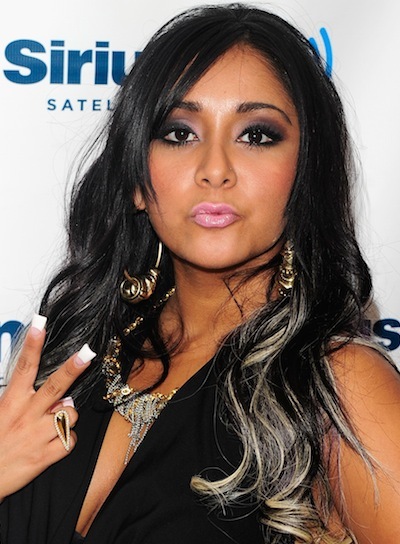 So if you’re searching for some beauty tips, hairstyle options, and fashion advice, turn to Nicole “Snooki” Polizzi. She’ll bring your fashion to a whole new place. 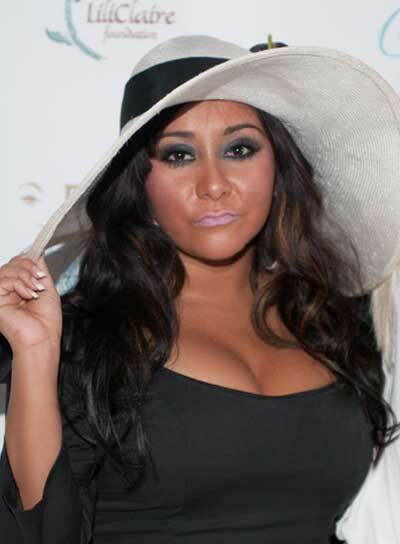 Nicole "Snooki" Polizzi's tousled waves look gorgeous when paired with a floppy hat. Steal her style:1. Apply texturizing mousse to damp hair and use a diffuser to bring out your natural waves. 2. Curl the bottom half of your hair using a 2-inch curling iron, and use your fingers to loosen them into waves. 3. Mist your waves with hairspray and roughly tousle them to add a messy vibe.4. Throw on a cute hat or fedora to complete the look. See the celebs at the 2011 MTV VMAs progress from full-coverage gowns to barely there shorts — what were they thinking?